The popular bias about cannabis has long been suggesting that it is merely a drug. The latest research on it, however, has proven that not all of its psychoactive chemical compounds are harmful. In fact, some of them possess unique medicinal properties that make them helpful in treatment of various health conditions. One of these compounds, that amounts to almost 40% of the cannabis extract, has become known as cannabidiol (CBD). What gives cannabis its bad reputation as a drug is its main psychoactive compound tetrahydrocannabinol (THC). This particular cannabinoid causes most of the common adverse effects of cannabis usage such as sedation and intoxication. CBD, on the other hand, does not set off the same harmful psychoactivity as THC does and is non-psychoactive. In fact, CBD has anti-anxiety and anti-psychotic effects that that make it effective in treatment of various neurological disorders. How Does CBD Work and Does it Work for Pets? CBD works by engaging the so-called endocannabinoid system. This system regulates a variety of processes in the body, from pain and mood to inflammatory and excitatory responses. With the help of CBD oil, cannabis-derived CBD compounds can safely engage this system and positively influence health condition. All mammals have this endocannabinoid system present in their bodies. This means that CBD compounds can engage and influence this system in dogs, cats, and other pets as well. As a result, your pets can reap all the health benefits that CBD oil usage has to offer. Fight Inflammation As a phytocannabinoid, CBD excites the CB2 cannabinoid receptors, which are a part of the immune system. This allows CBD to reduce inflammatory response and alleviate such conditions as arthritis that affect some dogs with age. Manage Pain By interacting with the endocannabinoid system, CBD temporarily blocks the absorption of chemicals that are responsible for pain sensation. As a result, CBD oil can act as a natural painkiller for your pet. 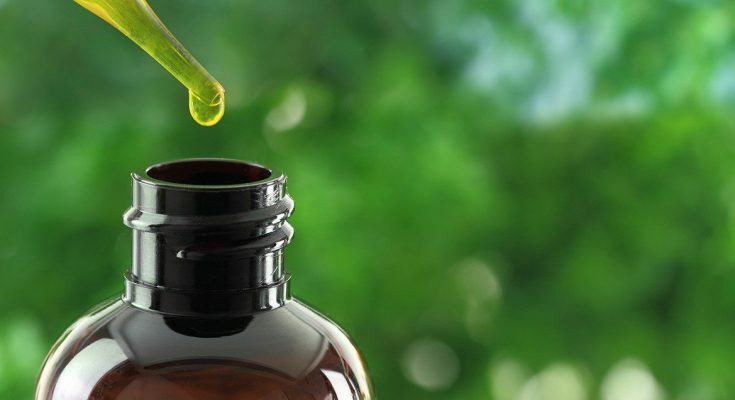 Reduce Anxiety Thanks to its natural anti-anxiety and anti-psychotic properties, CBD can serve as a wonderful pet behavior correction supplement. Boost Appetite and Eliminate Nausea By exciting CB1 cannabinoid receptors, CBD provides a natural antiemetic effect and can help to alleviate nausea and vomiting. As such, it can serve as a potent natural alternative to synthetic antiemetic medications that often have adverse effects. Protect Cells Due to its natural cellular protective properties, CBD can serve as a natural longevity supplement for your pet. Improve Overall Health As a result of its positive influence on body’s endocannabinoid system, CBD helps to maintain homeostasis in the body. This can help your pet enjoy being active and healthy regardless of age. The above list of CBD health benefits is not exhaustive. Yet, it shows that CBD oil can be the supplement your dog will thank you for.